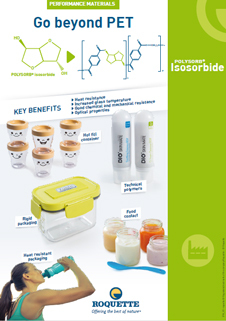 POLYSORB® PBA by Roquette Isosorbide is an isosorbide grade available in the form of pellets/ flakes. It is produced from sustainable and renewable feedstock and offers excellent reactivity. 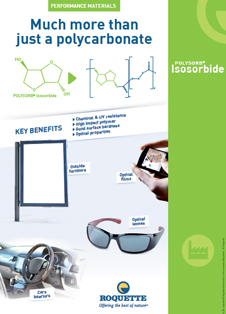 POLYSORB® PBA is suitable for the formulation of plasticizer, lubricant and surfacants.